Mt. Gox is requiring all users to verify their accounts in order to make non-bitcoin currency deposits and withdrawals, less than a week after U.S. authorities said they shut down online payment processor Liberty Reserve for alleged money laundering. 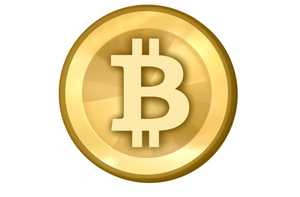 The world's largest bitcoin exchange instituted the new requirement on Thursday. Deposits and withdrawals using the bitcoin virtual currency, however, will not require account verification, the company said in a brief statement. The Tokyo-based bitcoin exchange made the policy change to comply with "strict anti-money laundering rules" and to prevent "other malicious activity." Mt. Gox could not be immediately reached for further comment, but the move comes two days after the U.S. Department of Justice announced it indicted Liberty Reserve for laundering $6 billion. Liberty Reserve, incorporated in Costa Rica in 2006, worked by charging a small fee to help users send and receive payments anywhere in the world. Transfers were made through its own virtual currency, which could be converted into real dollars using pre-approved exchangers. The online payment processor, however, did not verify the accounts of its users, requiring only a valid email address, along with a name and birthdate, which Liberty Reserve did not verify. This allegedly helped turn the online service into a hub for illegal transactions relating to credit card theft, investment fraud and computer hacking, among others. LibertyReserve.com went offline, and the currency exchange's founder Arthur Budovsky has been arrested. Mt. Gox also uses a virtual currency known as the bitcoin that's been growing in popularity, with its price rocketing briefly past $200 in April. The currency is managed and traded through peer-to-peer networks, and intended to be a decentralized form of payment that exists outside traditional banking institutions. But it is still in question if governments will move to regulate the bitcoin in order to prevent it from being a vehicle for illegal transactions. As for Mt.Gox, the exchange said it had doubled its verification support staff over the past two months, adding that it can process most verifications within 24 to 48 hours.